Ali Carter finally beat Ronnie O’Sullivan in a heated match winning 13-9 and sending the betting favourite out. The tournament is now wide open and everyone will fancy their chances. Ding Junhui is now into 7/2 along with John Higgins who is 8-0 up overnight against Jack Lisowski. Our money is on Barry Hawkins and Kyren Wilson also looks very solid, with a small saver bet on Ding. Defending champion and 2nd-fav Mark Selby crashed out of the 2018 Snooker World Championship losing 10-4 to ‘Gentleman’ Joe Perry in the 1st Round. Favourite Ronnie O’Sullivan is also in trouble trailing 3-6 to Stephen Maguire. Their game will resume to a finish at 10am on Sunday. The reigning World Snooker champion, who is seeking his fourth world title in five years, will arrive at the Crucible Theatre in Sheffield in high spirits. The ‘Jester from Leicester’ saw his form slump alarmingly mid-season but he returned to his best at the high-profile and valuable China Open at the start of the month. 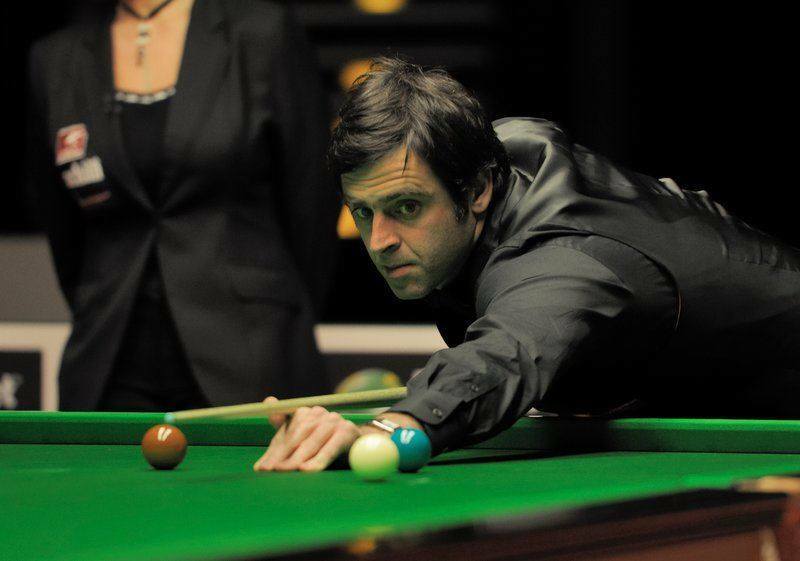 He’s got a great draw – cannot meet Ronnie O’Sullivan until the final – and he is difficult to oppose. Needs no introduction but few would be aware he is enjoying his best ever season winning five ranking tournaments from the eleven he has played. Ronnie has always been capable of throwing in a stinker, as he did in the first round of the China Open last time, but the five-time world champion has progressed to the quarter-final, at the very least, 12 of the last 14 years. Kicked off his season winning the World Open on home soil and made the final of the World Grand Prix – albeit demolished 10-3 by Ronnie O’Sullivan – in February. But all-in-all he has looked a long way below his best and has been a first or second round casualty in eight of the fourteen tournaments he has played this year. His supporters will take some hope from him being a semi-finalist last year and beaten finalist in 2016. Burst on to the scene in 2011 when making the final of the World Championship, winning the China Open a few week beforehand. Has played 11 ranking tournaments in 2018, winning one (the European masters in Belgium), finishing runner-up in the Shanghai Masters – done 10-3 in the final by Ronnie O’Sullivan – and getting runs to the semi-final in three others. Looks to have a fair draw – he should easily proceed to the quarter finals where John Higgins may be waiting – but consistency has never been his strong point. Brilliant on his day. The four-time World Champion made last year’s final and has held his form exceptionally well during the current season, winning the Indian and Welsh Opens. The 30-time ranking tournament winner also claimed the Championship League at the end of March in breath taking fashion. Knows what it takes to win here and in fine form. Being in the top bracket of the draw potential rivals include Judd Trump in the quarters and Mark Selby in the semis. Very much out of sorts in the early part of the season, never progressing beyond the third round of the first ten ranking tournaments he played. But appears to be coming right back to his best making the final of the Welsh Open (9-7 loss to John Higgins) and the China Open (11-3 loss to Mark Selby). Traditionally peaks at this time of the year and following his 2013 World Championship final appearance, he has been a two time semi-finalist since. World Snooker Championship Double Winnings if there is a century in the final frame! Could be renamed the renaissance man following a stunning run of snooker results this season. The 1998 and 2003 World Snooker Champion has landed two ranking events and the non-ranking Six-Red Word Championships during the past 12 months. The Welshman has had deep runs in most tournaments he has played this season and must be in confident mood – something he was not, by his own confession, for the past few seasons. Stunning and shock winner of the 2005 World Snooker Championship (in only the eighth ranking tournament he ever played), Murphy has made the final of four ranking events this season but failed to win one. But he did claim the scalp of Ronnie O’Sullivan when winning the final of the elite Champion of Champions event in November. You really don’t know when the ‘Magician’ will wave his wand. The 26-year-old has won just one ranking event during his career which is in its fifth full year. A bright start to the current campaign petered out from the start of November and while he made the semi-final of the all-important form-pointing China Open, he had a lot of close calls along the way. If everything goes accoring to the snooker rankings, he will meet Mark Selby in the quarter-finals. Tends to win a single ranking event every season and did just that when taking the Scottish Open in December. But it is fair to say the 2007 World Champion has dropped down the rankings for good reason and he is well below his best. Got a good spin in the China Open making the semi-final (beaten 10-6 by Barry Hawkins) but he did not beat a player of real note along the way. The surprise 2015 World Champion resurfaced in February after serving a six month ban. He will take some encouragement in recording a 147 in the China Open but a 6-0 drubbing by Neil Robertson in the quarter final must have hurt. It was a big surprise when the Belgian took the China Championship last August and his form rapidly deteriorated since. A first-round casualty in the last three ranking events he has played and been beaten in five of the six Championship League games he played just three weeks ago, he is easily dismissed from our World snooker tips shortlist. Two ranking event wins last season – one being the one-frame ‘Snooker Shootout’ – helped catapult him up the rakings. Began the season with some deep runs in competitions but that form has tapered off since November. Will do well to progress beyond the second round. Set to meet Ronnie O’Sullivan in the second round. If that’s not enough cause to rip up your betting slips, factor in he has won just one ranking event in the past five years. Carter only got past the second round in one of the last eight ranking events he has played and no reason to expect a sudden turn-around in fortunes. His victory in the non-ranking but very elite Masters in January was a bolt from the blue. But no real encouragement from his last ten ranking events and just one ranking tournament win in the past five years (three in total). Has never progressed beyond the second round of this competition in his last six attempts. Of the last three competitions he has played the Welshman has won two: The Romanian masters and Gibraltar Open. He also eliminated Mark Selby from the opening round of the Players Championship three weeks ago and took the Riga Masters at the start of the current campaign. Most certainly in form, confident and should not be under estimated. Ex-wives and bankruptcies were probably to blame for Stevens’ gradual decline but, as a two-time finalist (and four time semi-finalist) this Welsh player has back-class aplenty. Impressive when beating former champion Ken Doherty in the qualifiers, he got a run in the Welsh Open and is definitely on the improve. Has never won a ranking tournament or even made the final of one. But claimed the scalp of John Higgins (6-2) in the China Open and only failed to make the semi-final of that event in a final-frame shoot-out losing 6-5 to Kyren Wilson. Getting deeper and deeper into tournaments of late and registered three century breaks in beating David Grace in the qualifiers.